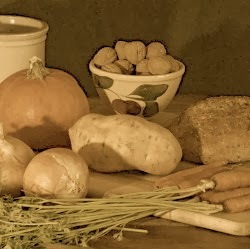 A Year of Being Here: Tim Nolan: "Thanksgiving"
"Thanksgiving" by Tim Nolan, from And Then. © New Rivers Press, 2012. Photography credit: Untitled by Anita at her Bloomin' Workshop blog (originally color).